With extravagant foliate decorations and motifs in the back, it's a shame the artistic qualities of this Chaise Lounge will be covered by a cushion. Hanamint developed this seating option for all-weather, outdoor use; they are so confident it will last for decades in the elements it's backed with a 10-year warranty. Neo-Greek designs and patterns that are truly antique in nature. A great value and a great addition to any back patio or pool setting. 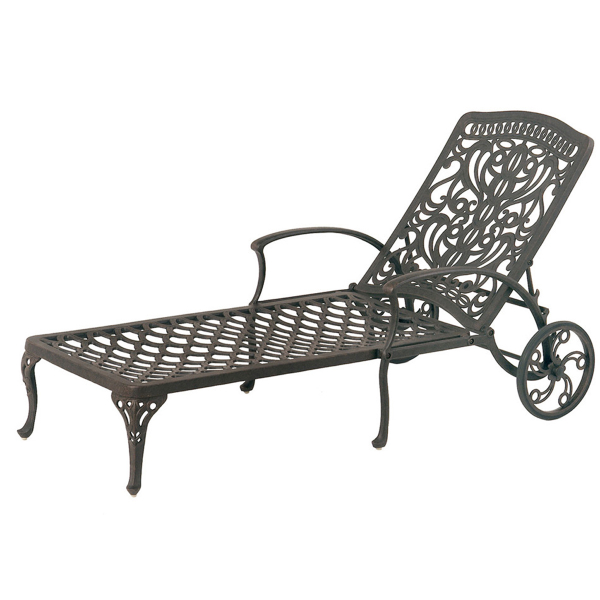 This item is 100% Cast Aluminum.